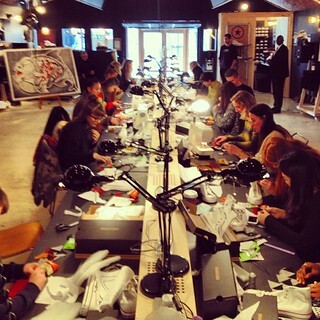 Back in November i successfully pitched to Converse and Google+ to run a Chuck Hack workshop. 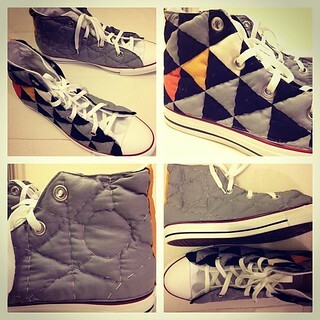 My idea was to patchwork and quilt a pair of Converse and in turn teach a class how to do it too. Originally booked for 12, i ended up with a mammoth class of 20! The trainers pictured above are currently on tour around Europe.